Ringo Alarm - ONGS Inc.
Ringo Alarm leads you a more comfortable life. 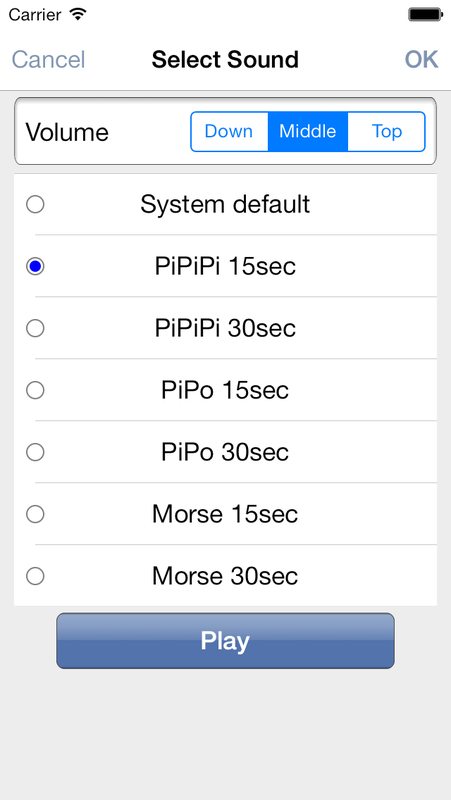 Alarm application designed for iPhone and iPad. 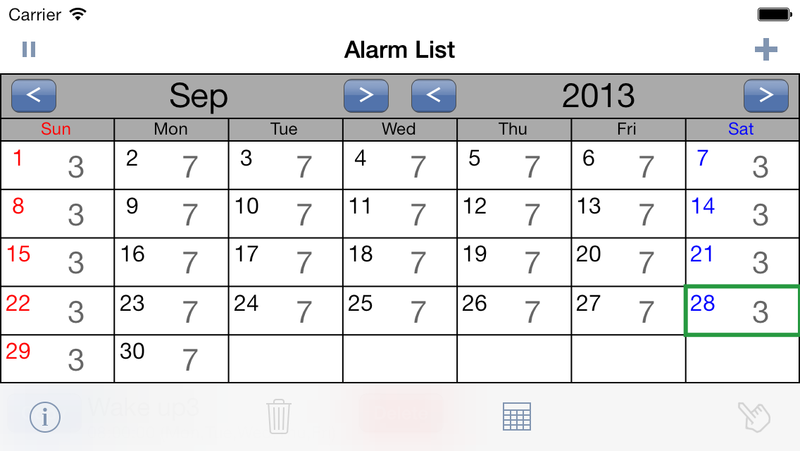 Ringo Alarm offers you a number of simple and useful alarm features such as the alarm creating, alarm copy, alarm snooze, alarm management (on, off, pause and remove) and built-in calendar. Ringo Alarm is capable of handling up to 100 alarms. 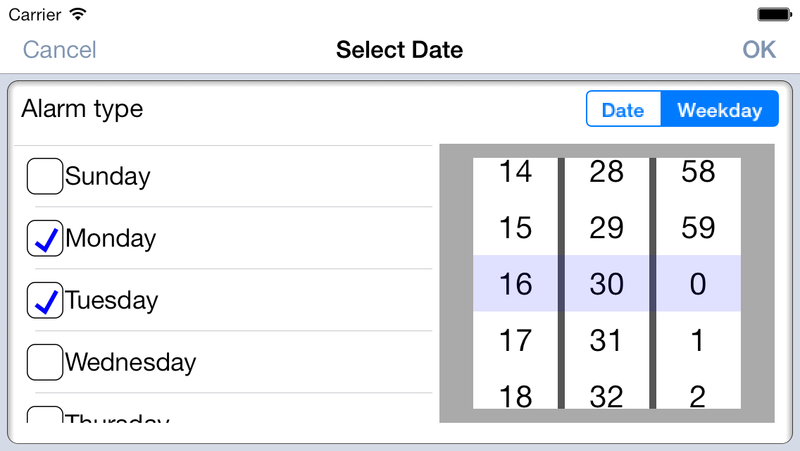 Ringo Alarm is a suitable application for iPhone users who want to use alarm with a calendar and iPad users who want to change iPad into an alarm device. Alarm creation with a target date. 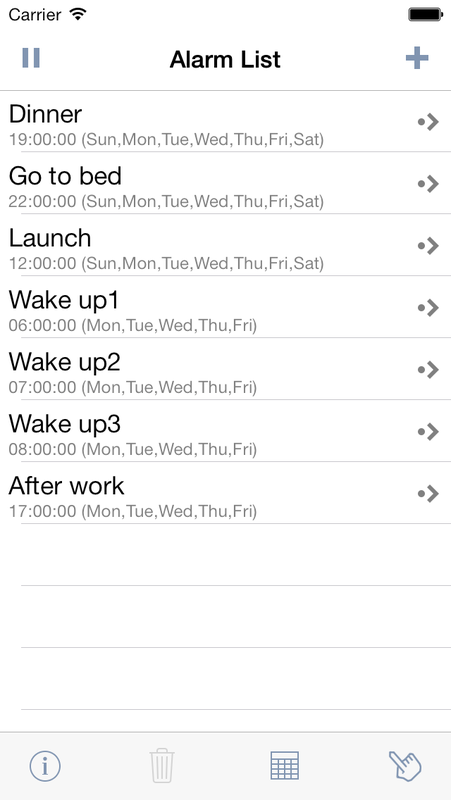 Alarm creation with days of the week. 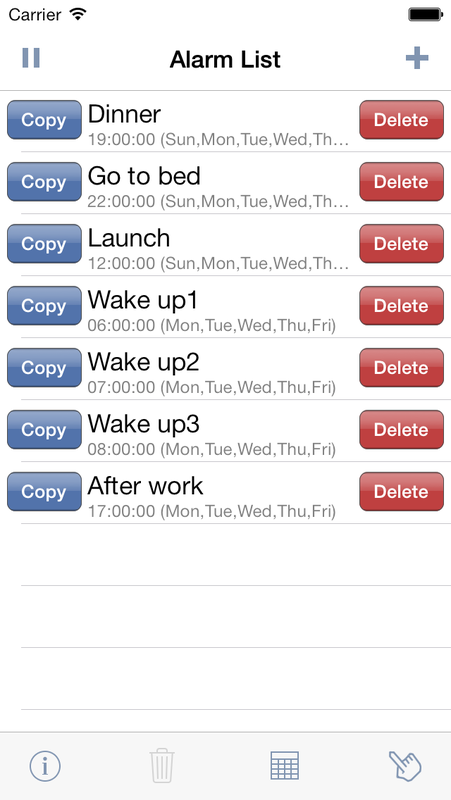 Copy an alarm on the list. Upper limit of alarms is 100. Contact us info@ongs.co.jp if you have some questions, requests or something to ask us. Copyright 2012-2014 ONGS Inc. All rights reserved.